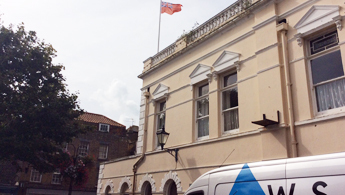 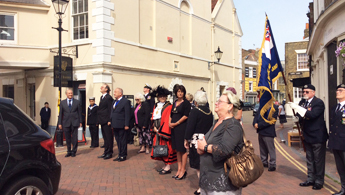 The Worshipful the Mayor of Margate, Cllr Rosamund Dixon, proudly hosted the first raising of the Red Ensign over Margate's Old Town Hall, in recognition of Merchant Navy Day. 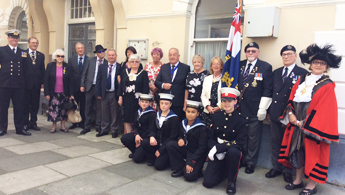 The Mayor, the Chairman of Thanet District Council, Charter Trustees, and guests, were honoured to have the Standards of the RNA present, along with the Sea and Marine Cadets from TS Jamaica. 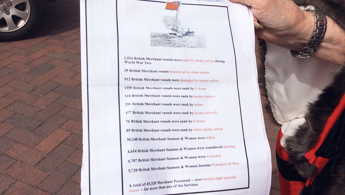 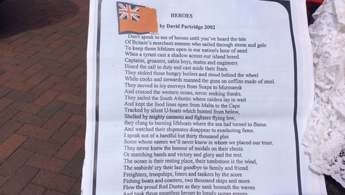 The Mayor read the Roll of Honour of those Merchant Seaman who gave their lives in WW11, and read the very moving poem 'Heroes' by David Partridge.